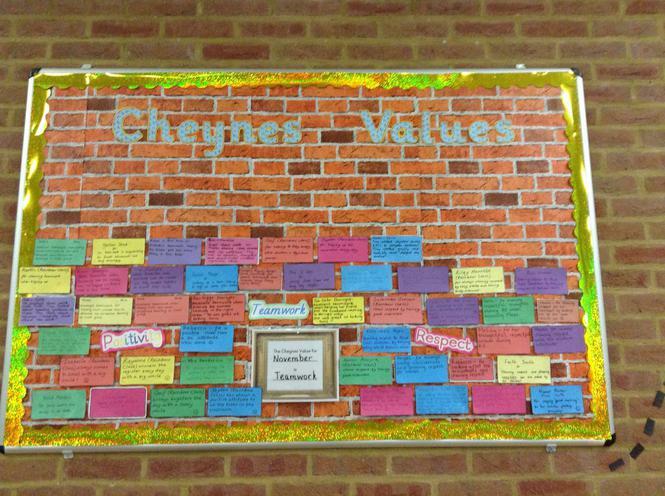 A huge well done to the children who received a 'brick' to go on Our Cheynes Values board for demonstrating our value of TEAMWORK in the month of November! Our value for December is Gratitude. As you can see, our Values Wall is filling up!